Get up close to the planes that safeguard the nation, and test your skills in the cockpit of an actual jet-fighter simulator at the Patuxent River Naval Air Museum & Visitor Center. Journey back to the Age of Sail and on to Maryland's prehistoric seas and the time of the monstrous Megaladon shark at the Calvert Marine Museum. 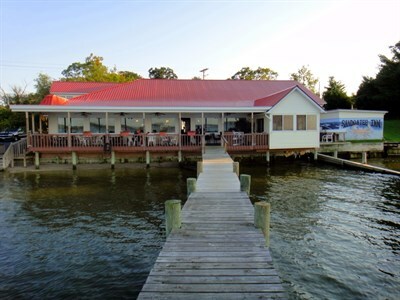 Top off the day at a waterside restaurant and enjoy the best of Maryland seafood. Pax to the Max packs in a whole lot of group fun! Arrive in St. Mary’s County and head for Leonardtown. Located on Breton Bay, this charming town features a town square, public wharf park on the water, variety of specialty shops and restaurants, two historic sites, art galleries, a winery and much more. Enjoy lunch at one of the local establishments. Next, it’s the brand new Patuxent River Naval Air Museum & Visitors Center. This museum tells the story of the past, present and future of U.S. Navy testing and evaluation at the Patuxent River Naval Air Station via interactive displays, full-sized Mach combat simulators, an outdoor flight line with more than 20 full-sized aircraft and much more. Pax River is where early astronauts got their start as test pilots and where the demanding challenges of aircraft system testing continues. Check in to your hotel and freshen up before dinner. Schedule a local waterman talk on crab harvesting, followed by a traditional Sothern Maryland crab feast, while eating waterside. Or, enjoy waterside beauty along the river at Sandgate’s Inn Restaurant & Crab House. 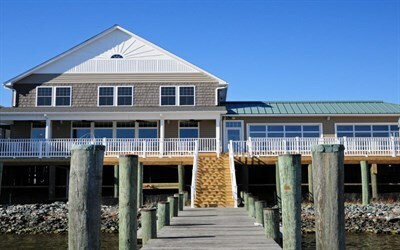 Dine inside or enjoy your meal outdoors on the deck with stunning views of the river. After breakfast at the hotel, visit the sole surviving fully-interpreted Tidewater plantation in Maryland, Sotterley Plantation, overlooking the Patuxent River. Tour the Manor House where each nook and cranny is filled with history, and stroll the gardens and explore the outbuildings. Depart for Solomons. The Calvert Marine Museum brings to life the rich maritime history, ecology, and culture of the Patuxent River and the Chesapeake Bay Region. This museum features extensive indoor and outdoor displays, including marine wildlife, fossils, boats, and lighthouses. After lunch at the Lighthouse Restaurant & Dock Bar, add a cruise on the Wm B. Tennison, an actual Chesapeake Bay working boat. 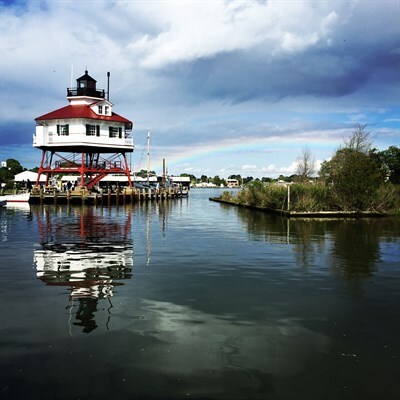 Enjoy a leisurely hour on the river as you sail the busy Solomons harbor, see the Chesapeake Biological Laboratory and pass underneath the Governor Thomas Johnson Bridge. Lord Baltimore saw Maryland, named after England's Catholic queen Henrietta Maria, as an opportunity to grant religious freedom to the Catholics who remained in Anglican England.